She's coming back earlier than you think! 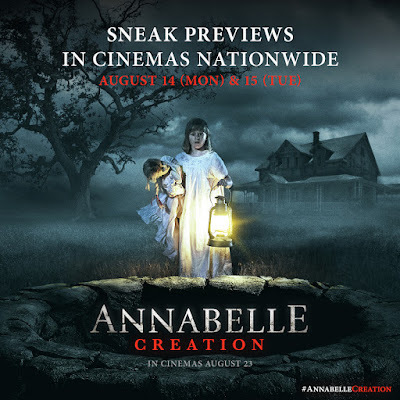 The year's most eagerly anticipated horror thriller, New Line Cinema's Annabelle: Creation, will hold whole-day sneak previews in most cinemas nationwide on Monday and Tuesday, August 14 & 15, this was announced by Warner Bros. Philippines today. Tickets will be regular admission prices. Warner Bros. Philippines has previously organized a media and fan screening August 7 which coincided with the celebration of International Doll Day. Fans showed up with their own dolls to mark the occasion. 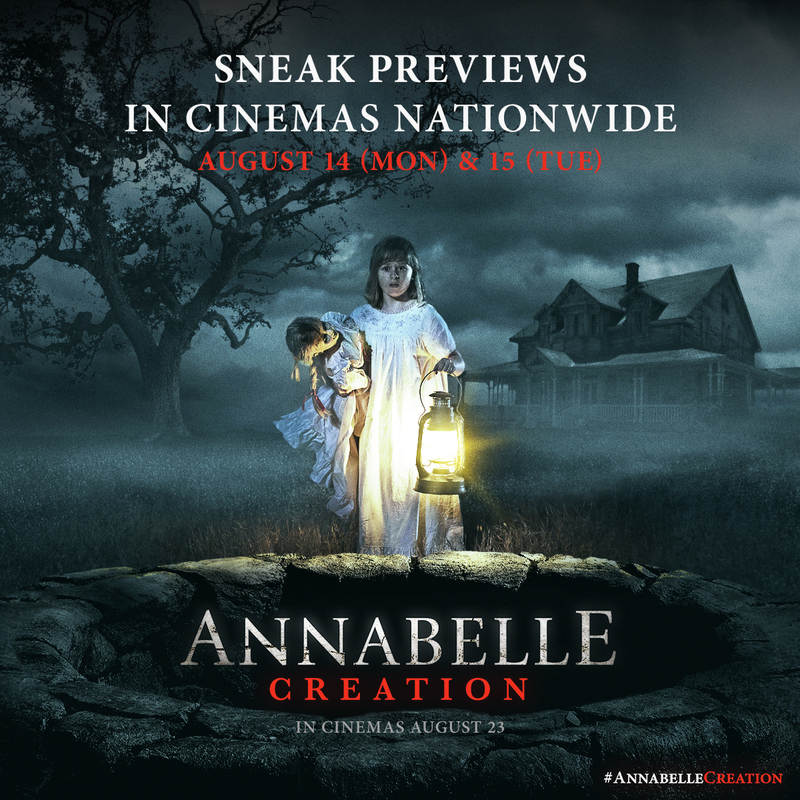 From New Line Cinema comes Annabelle: Creation, with David F. Sandberg (Lights Out) helming the follow up to 2014’s hugely successful Annabelle. The new film is once again produced by Peter Safran and James Wan, who previously partnered on The Conjuring movies. In Annabelle: Creation, several years after the tragic death of their little girl, a doll maker and his wife welcome a nun and six girls from a shuttered orphanage into their home. They soon become the target of the doll maker’s possessed creation, Annabelle. The film stars Stephanie Sigman (Spectre), Talitha Bateman (upcoming Geostorm), Lulu Wilson (Ouija: Origin of Evil, Deliver Us from Evil), Philippa Coulthard, Grace Fulton, Lou Lou Safran, Samara Lee (The Last Witch Hunter), and Tayler Buck in her feature film debut, with Anthony LaPaglia (TV’s Without a Trace) and Miranda Otto (The Lord of the Rings Trilogy).